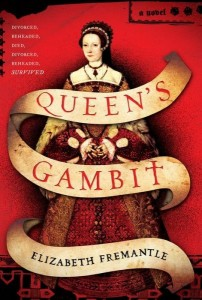 Queen’s Gambit is a historical fiction novel about the life of Katherine Parr, King Henry VIII’s sixth and final wife. The story opens with the death of Lord Latymer, Katherine’s second husband who leaves her a wealthy widow. Not by her own accord, she catches the eye of the king and a marriage is soon arranged. Clever and politically astute, Katherine is a Protestant reformer who tries to steer the king away from his return to Catholicism, but must tread carefully between influencing and offending the king. She also must hide her love for Thomas Seymour, the king’s brother-in-law from his third wife. How did Katherine manage to be the only wife who wasn’t divorced, dead from childbirth or beheaded? After seeing the movie, The Other Boleyn Girl, I’ve been fascinated by stories about Henry VIII and his family. It’s amazing to me that one person could have so much power-the ability to start and end wars, changing an entire country’s religion, enriching his favorites and punishing his enemies, to the extent of putting them to death. 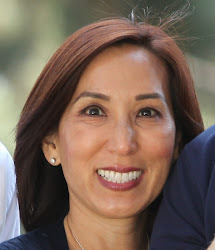 The dynamics at court are unforgettable-watching courtiers jockeying for position and backstabbing one another, each trying to better his or her own position. It’s also interesting to me how women were treated as chattel and how they had to survive by their own wiles. Reading Queen’s Gambit is a great way to take a journey into another time and place!